AMMONNEWS - Police said Monday it had arrested a man who robbed a bank in Amman at gunpoint yesterday, and managed to retrieve most of the stolen money. 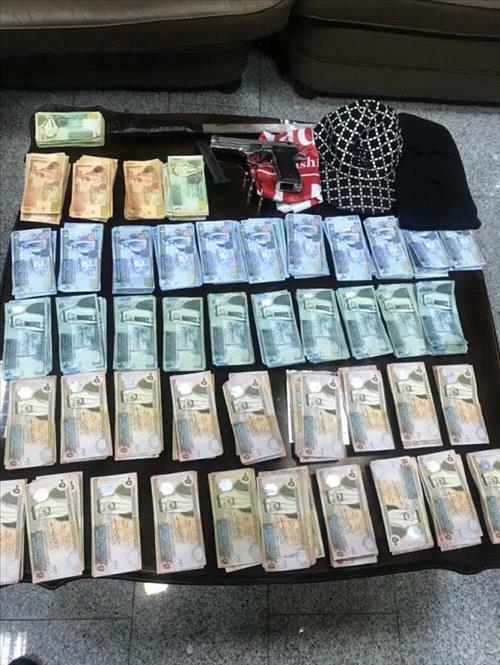 Public Security Department (PSD) Spokesperson Lt. Col. Amer Sartawi said a Preventive Security Department's special investigation team arrested a man who robbed a bank in the Al-Manara area, eastern Amman at gunpoint retrieved most of the stolen money. Sartawi added that the Police emergency number 911 received a call on an unknown, masked and armed person burst into a branch of a bank in the Jabal al-Manara area, and stole a sum of money at gunpoint and escaped the scene, noting that a Preventive Security special team has followed up on the case. The team managed to identify the suspect, and arrested him after locating his whereabouts, Sartawi indicated, stating that during the investigation, he admitted planning and carrying out the robbery using a noise gun. Most of the stolen amounts, the gun and the mask the robber was wearing were seized and the investigation is still underway, the PSD Spokesperson concluded.